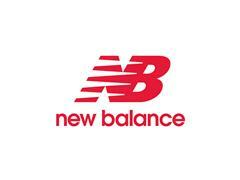 ~~Boston, MA - December 2015 – This fall, Boston-based New Balance will introduce the Fresh Foam Gobi, an all-terrain model perfect for the runner looking to run from road to trail. The Fresh Foam Gobi will launch in July 2016 with the suggested retail price of $94.95. The Fresh Foam Gobi is the answer for runners who want the lightweight, smooth ride of Fresh Foam cushioning in one model that can support the miles both on and off the roads. Applying the same software aided design process as the Fresh Foam collection, the Fresh Foam Gobi borrows the coveted smooth, sleek midsole runners love in the Fresh Foam Zante midsole. The Fresh Foam Gobi features finely tuned geometries all geared toward helping runners pick up the pace on any surface. The same form fitting last as the Fresh Foam Zante v2, provide a familiar toe spring to the Fresh Foam Gobi, further pushing this runner through the gait cycle quickly. A reinforced, closed mesh upper increases protection and durability from the trail elements, while FantomFit provides additional ultra-light support. Multi-directional lugs on the outsole complete the design of this all-terrain running shoe, giving the runner additional grip while going up and down hills. The Fresh Foam Gobi provides a perfect blend of trail specific technical needs while accommodating the runner who craves a smooth, fast ride on the road as well as off.